Android's popularity is increasing. Almost every individual who is aware of technology and use of gadgets have an Android Smartphone. This is because of the wide range of devices that are available for Android users based on the variations of Price range. Nokia, which was the King of Mobile Market has lost its market share due to Android and iOS. Although, now reports are saying that due to Advertisements and new Marketing tactics, Nokia's market share of Windows Phone is increased. Till now, there are not any official statements from Nokia to make an Android Phone. So for Nokia Users, who want to have an Android alike look and feel on their smartphones. Here is a simple tweak for them. 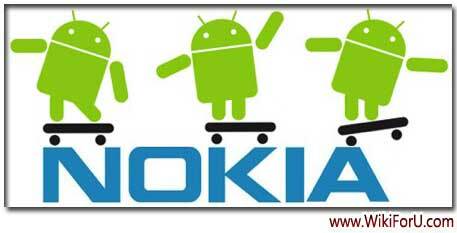 Here is Theme for Nokia Mobiles which can make your Nokia Mobile looks like an Android Mobile. It does not changes any system applications and does not add any support to Android applications but just changes the look and feel of Operating System. Basically, it changes the User Interface of Nokia phones and make it more like the Android's UI. 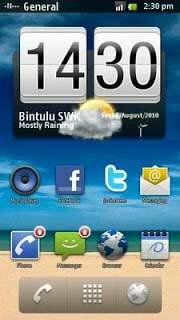 This theme works on most of the Android Phones, such as Nokia 5800 Xpress Music, Nokia Symbian 60 Mobiles and Symbian 40. It also works on low budget Nokia Phones such as Nokia Asha. We cannot guarantee its working on all Nokia phones as there are many models of Nokia mobile phones. So the best method to know if it works for you or not is to download and try it. As this theme will change the whole look & feel of your Nokia Phone, so it won't be that easy to install it. Means you cannot install it just like a theme. Instead you have to do a little bit of tweaking. Follow the procedure given below. First of all, Download these two files from Here and Here. Now extract the 1st file and set its name to '+GDesk'. Now send this file to internal memory of your NOkia Phone. Now open GDesk from installed apps. Click on your Screen and then choose Design > Load Design and choose Android 2.1.gdd.